Alnwick and District Camera Club was originally formed in 1901 by a group of chemists and their friends. All, of course, used film and printed their pictures in the darkroom. No digital cameras then! The Club closed during the two great wars and then was reconstituted in 1952. It has met continuously every Wednesday from September to April ever since and for the last 25 years or so in the Mechanics' Institute in Percy Street, Alnwick. There are over 60 members from all walks of life and with many different approaches to photography. Where the founder members used film and printed and developed their photographs in the darkroom, most Club members, though not all, now photograph and print digitally. The Programme, over a 33 week season, is designed to support, teach and develop members' skills and to show, by inviting experienced photographers to show their work, the best of slide and print photography. There is, also, a variety of competitions through which members can test their progress. The Club is affiliated to the Northern Counties Photographic Federation, a group of about 50 clubs in northern England. This NCPF offers opportunities for Club members to meet and compete over a wider range than they would if they met only within the context of their own club. 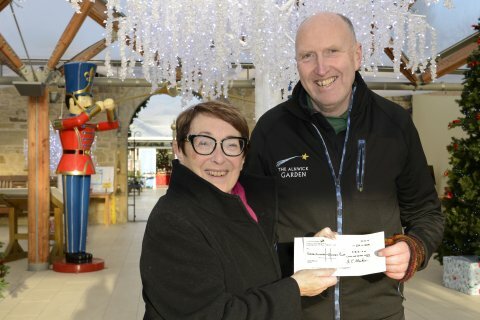 A partnership between Alnwick and District Camera Club and The Alnwick Garden has seen the garden's Roots and Shoots charity receive over �1000. Camera Club members have had three annual exhibitions showcasing their images taken at the garden throughout the seasons. 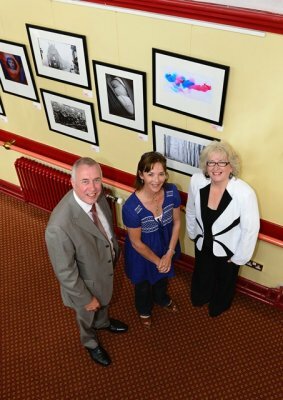 The Camera Club reaches a wide audience with the exhibition and in return Roots and Shoots gain a percentage of the profits from sales of any prints sold. 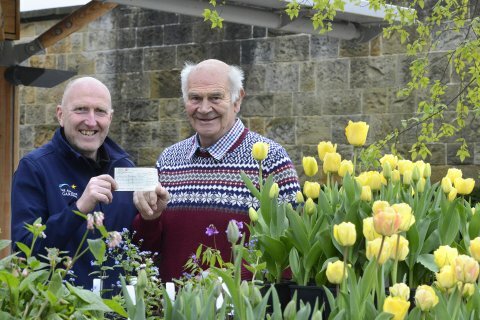 Camera Club chairman Laine Baker is seen presenting the profit of over �300 from this year's exhibition to head gardener Trevor Jones. The exhibition is organised by Margaret and John Whittaker and this year featured 90 images shown over eight days. 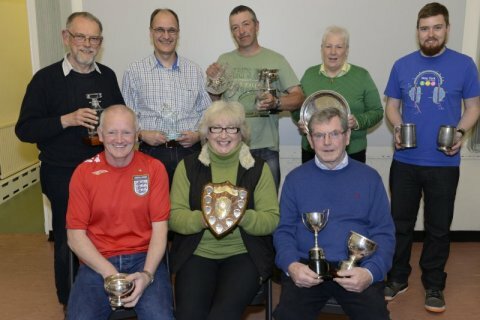 Alnwick and District Camera Club held their presentation evening at the end of another good season. 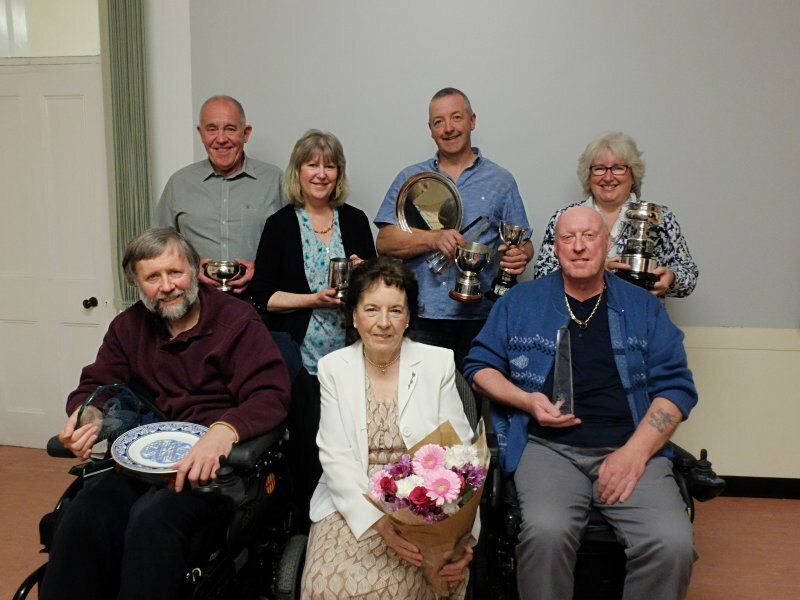 Pictured with their awards are from left, Dawn Groves, Jane Coltman, Michael Mundy, new club president Gerry Simpson, Andrew Mackie, outgoing chairman Dave Dixon, Stanley Trafford, Christine Grey and new chairman Laine Baker. Congratulations to Micheal Mundy on his image "Ivan" being selected for the Leica Master Shot Gallery. 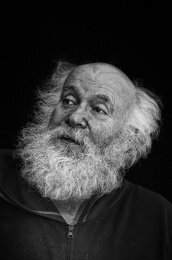 Congratulations to Gerry Simpson who was recently awarded Associateship of the Disabled Photographers Society. 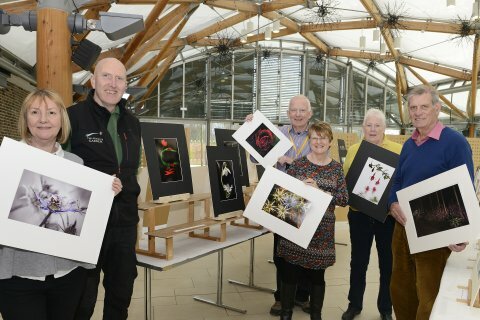 Alnwick and District Camera Club have presented the profit from a recent exhibition at The Alnwick Garden to the Alnwick Garden Trust where it will be spent on the Roots and Shoots programme which is dedicated to children with additional needs. 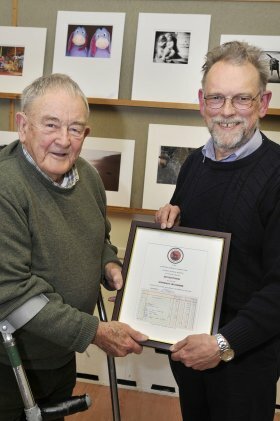 Head gardener Trevor Jones accepted �452 from the Camera Club treasurer Andrew Mackie. 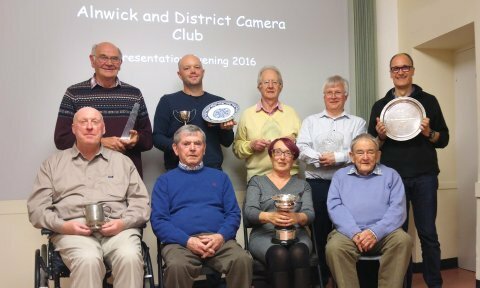 Alnwick and District Camera Club held an annual presentation evening to mark the end of their season. 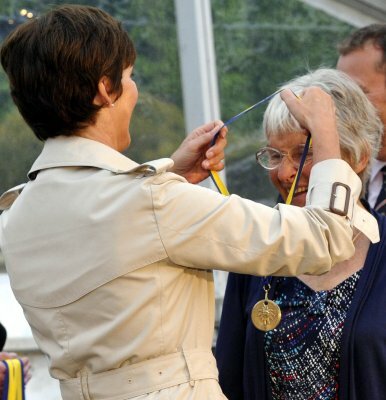 Guest of honour was Rosemary Mason, sister of Gene Bache, a club member for many years. 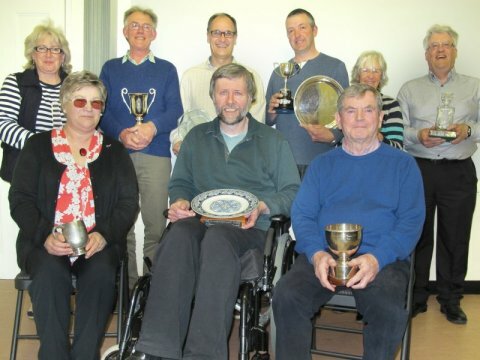 She is seen with prizewinners Gerry Simpson, John Strong, Carol MacKay, Kevin Murray, Jane Coltman and Dennis Hall. A range of fantastic images taken in The Alnwick Garden by members of Alnwick and District Camera Club are on display this week. It is the club's second exhibition at the Garden and the pictures show an imaginative range of styles, taken in day and night-time. Prints are available to purchase with 40% of all profits going towards the Roots and Shoots Community Project. Congratulations to club member Alastair Cochrane, who has has achieved the distinction of FRPS from the Royal Photographic Society (the first FRPS in Scotland in 2 years). I have used my original photographs of Gehry�s �Experience Music Project� building in Seattle to produce new abstract images which comment on the realisation of this structure, exploring its curving, multi-coloured metal planes, which in turn are influenced by guitars deconstructed by the musician Jimi Hendrix. These images were the club's successful entry for the interclub print competition at Amble on Thursday 27th October 2016. A photograph by Camera Club member Micheal Mundy features in the British Journal of Photography's Portrait of Britain exhibition. 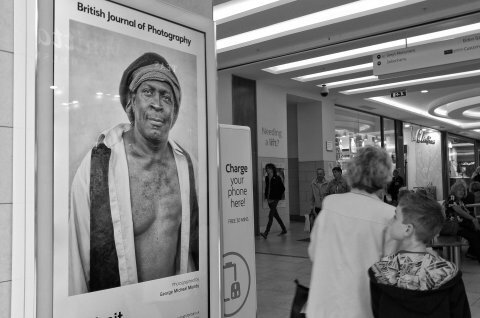 Envisaged as an exhibition by the people, of the people and for the people, Portrait of Britain was initiated as an open call for photographs that celebrate this country�s unique heritage and diversity. Selected from nearly 4000 entries, the 100 winning portraits capture young and old, reflecting not just the multiformity of British people, but also the myriad of styles and approaches to contemporary photographic portraiture. Micheal's portrait Ossie can be seen on a digital network of screens in railway stations, shopping centres (such as Eldon Square seen here), high streets and bus stops around the UK. Many congratulations to Micheal for having an image included in such a prestigious exhibition. Alnwick and District Camera Club held their annual presentation evening in the Mechanics Institue where the trophy winners were ( back from left) Andrew Mackie, David Burn, Peter Downs, Richard Stent, (front) Dennis Hall, president John Thompson, Laine Baker and vice-president Ken Shawcross who presented the awards. Congratulations to Pat Wood for being awarded the Licentiate of the Royal Photographic Society. Congratulations to John Thompson, who has been awarded "Excellence" by the International Federation of Photographic Art. Congratulations to Micheal Mundy for being awarded the Licentiate of the Royal Photographic Society. Congratulations to John Thompson on gaining his AFIAP as well as a gold medal and two silver medals from international salons this summer. Congratulations to Peter Downs who has achieved the distinction of Licentiate of the Royal Photographic Society at a recent assessment. Congratulations to Peter Downs on winning the "Through the Lens" competitions organised by Amble P.S. 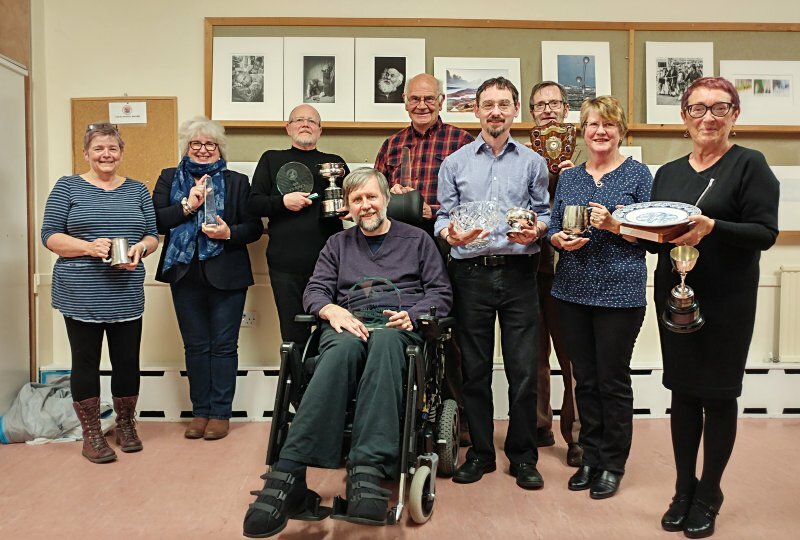 Alnwick and District Camera Club trophy winners Jane Coltman, Paul Penman, Gordon Charlton, Kevin Murray, Jean Findlay, Nick Johnson, Judith Snaith, Gerry Simpson and (front right) club president John Thompson who also presented the awards. Click here for details of a new book featuring photography by club member Alan Ainsworth. John Thompson was invited to become the new president of the club. The committee decided to ask John as he has given so much to the club over years, from serving on the committee in varied roles, being the leading light behind the Playhouse event and perhaps most importantly offering support and advice to members on all things photographic - I'm sure most of us have asked John for his help or opinion at one time or another! The club means a lot to him and he does to us so I'm delighted to say that although struck dumb with surprise (for a few moments!) he agreed to accept the role. 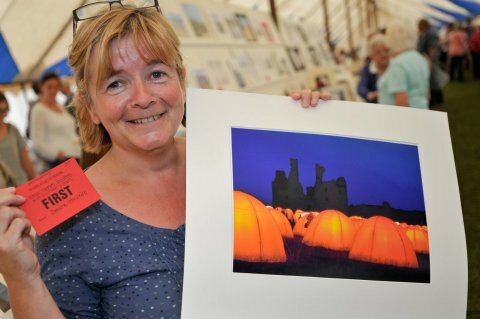 Congratulations to Dawn Groves who has won the OPEN section of the Warkworth Flower Show Photography Competition. 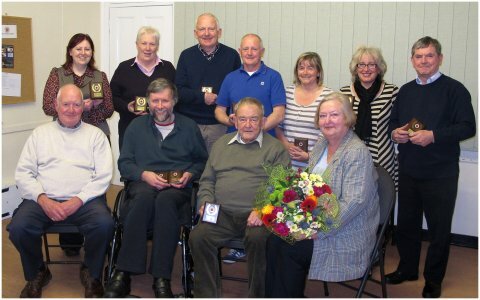 At the Alnwick & District Camera Club Awards Evening the guests of honour were Ken and Margaret Moore (front left and right) from the Mechanics' Institute where the club meets. They are to be seen with prize winners (back) Sue Baker, Margaret Whittaker LRPS, John Whittaker, Barry Robertson LRPS, Dawn Groves, Jane Coltman CPAGB, John Thompson ARPS, (front) Gerry Simpson LRPS and Ken Shawcross. Jean Findlay has won the Festival of Alnwick medal for the print competition in the Playhouse. 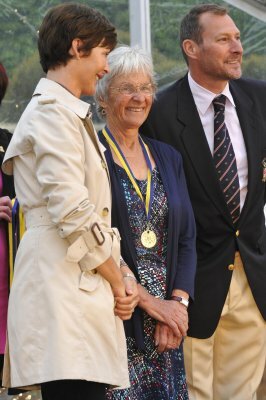 Here she is presented with her award by the Duchess of Northumberland. The subject of the competition was SPORT, so it was appropriate that Olympic swimming medalist Nick Gillingham was also at the presentation. 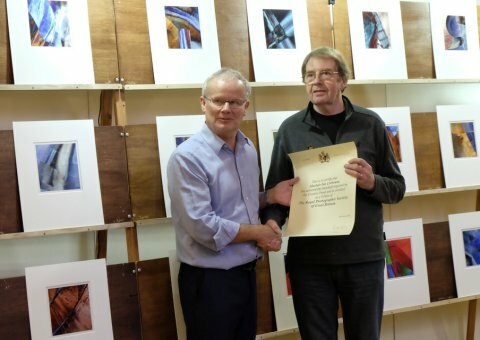 Ken Shawcross has been made an honorary life member of Alnwick Camera Club in recognition of his long service and support of the club. Ken (left), who joined the group in the 1970's was presented with the award by club chairman David Carter.